For the first time, Hillary Rodham Clinton reveals what she was thinking and feeling during one of the most controversial and unpredictable presidential elections in history. Now free from the constraints of running, Hillary takes you inside the intense personal experience of becoming the first woman nominated for president by a major party in an election marked by rage, sexism, exhilarating highs and infuriating lows, stranger-than-fiction twists, Russian interference, and an opponent who broke all the rules. This is her most personal memoir yet. I had so hoped to hear Hillary's side of the story in a mature objective way. Not going to happen. I only listened to about 2 hours of this book before I quit. Hillary spent the first part of the book totally denigrating Trump, putting herself on the same level as every other 5 year old in the country who runs to Mama to tattle. I felt like she could have risen above the petty belittling of every Republican she ever encountered, but instead she had to sink to the same level as Trump and keep up the mud slinging (tattling). 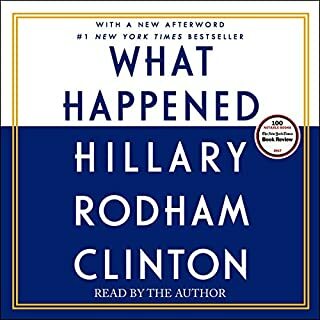 This was not a mature, open-minded accounting of the election, it was just a book where Hilary recounts how unfair she feels everyone was to her. There wasn't anything in the first part of the book that I had not already heard in the news. I returned the book without finishing. Flyboys is the true story of young American airmen who were shot down over Chichi Jima. Eight of these young men were captured by Japanese troops and taken prisoner. Another was rescued by an American submarine and went on to become president. The reality of what happened to the eight prisoners has remained a secret for almost 60 years. 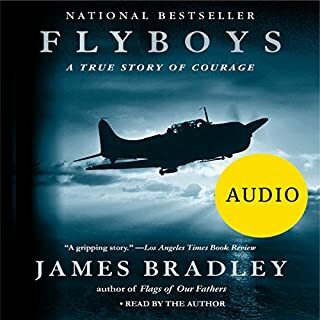 Where does Flyboys rank among all the audiobooks you’ve listened to so far? This one of the best books I've read about World War II for the simple reason that it explains the Japanese culture and why they would not surrender until we dropped the bomb. In addition, there isn't much sugar coating for the actions of the US. This book lays it all out there, the good and the bad, from both sides. My father was a bombardier stationed on Tinian Island and flew many of the incendiary missions over Tokyo. He never talked of his experiences, but this book helps me to understand some of what he went through. Excellent story! In the 1950s a young Indianapolis minister named Jim Jones preached a curious blend of the Gospel and Marxism. His congregation was racially integrated, and he was a much-lauded leader in the contemporary civil rights movement. Eventually Jones moved his church, Peoples Temple, to Northern California. He became involved in electoral politics and soon was a prominent Bay Area leader. 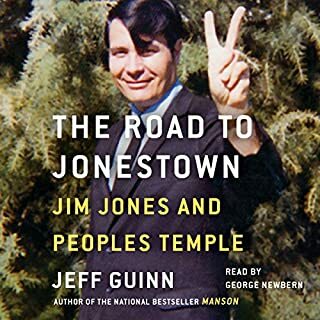 What made the experience of listening to Road to Jonestown the most enjoyable? I remember hearing the news of Jonestown and never really knew what led up to those horrific events so I was curious to really understand why people would have fallen prey to Jim Jones. This book really helped me to understand how he began as a person who truly wanted to help others, and how events in his life led him to view himself as God on earth. The author seemed to be repetitive in some parts of the story, and at times, I found myself saying, "OK, I get it, let's get on with the story." But, overall, it was still very informative and a compelling read. Which character – as performed by George Newbern – was your favorite? No favorites, Jim Jones was a monster. 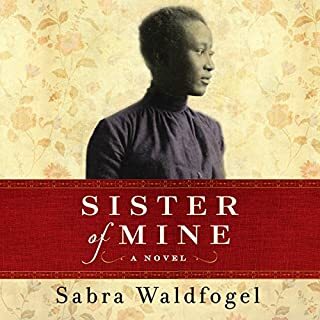 When Iola Anne Poole, an old-timer on Hatteras Island, passes away in her bed at ninety-one, the struggling young mother in her rental cottage, Tandi Jo Reese, finds herself charged with the task of cleaning out the rambling Victorian house. 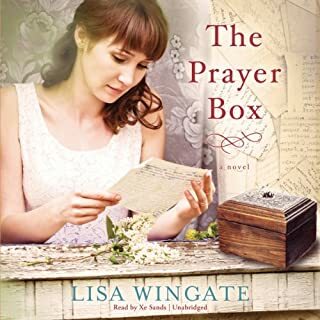 Running from a messy, dangerous past, Tandi never expects to find more than a temporary hiding place within Iola's walls, but everything changes with the discovery of eighty-one carefully decorated prayer boxes, one for each year, dating from Iola's youth to her last days. This book isn't the most riveting book I've ever read. It was fairly predictable and the two stories of past and present didn't really have a whole lot of connection, except what the author forced into it. The minor love story was totally predictable. It would have been better, in my opinion, if the current day story had just been left out and the book had been about the story told through the prayers. What about Xe Sands’s performance did you like? The performance was very good, no strange accents, no unpleasant sounds. Do you think The Prayer Box needs a follow-up book? Why or why not? Not really. This book did not have much depth to any of the characters. Early in the morning of Monday, July 8, 1895, 13-year-old Robert Coombes and his 12-year-old brother, Nattie, set out from their small, yellow-brick terraced house in East London to watch a cricket match at Lord's. Their father had gone to sea the previous Friday, the boys told their neighbors, and their mother was visiting her family in Liverpool. Over the next 10 days, Robert and Nattie spent extravagantly, pawning their parents' valuables to fund trips to the theatre and the seaside. But as the sun beat down on the Coombes house, a strange smell began to emanate. There just wasn't enough story to fill a book. The author filled half of this book with useless information that did not pertain to the central story line of a boy who murdered his mother. I found myself constantly daydreaming and didn't miss a thing because this book is just full of fluff. What does Corrie James bring to the story that you wouldn’t experience if you just read the book? 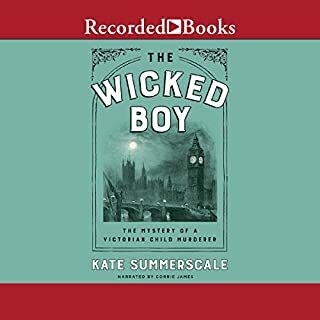 What character would you cut from The Wicked Boy? All the people who had absolutely no connection to the crime and were just used to fill up pages. When two Union soldiers stumble onto a plantation in northern Georgia on a warm May day in 1864, the last thing they expect is to see the Union flag flying high - or to be greeted by a group of freed slaves and their Jewish mistress. Little do they know that this place has an unusual history. Twelve years prior, Adelaide Mannheim - daughter of Mordecai, the only Jewish planter in the county - was given her own maid, a young slave named Rachel. The two became friends, and soon they discovered a secret. The book kept me interested and the narration was excellent. However, it was quite predictable and it just ended without resolving the major plot line. What ending??? The author did not resolve the major plot line. It was as if the last chapter was missing. I was disappointed. What does Bahni Turpin bring to the story that you wouldn’t experience if you just read the book? I did love her narration. Brought to Kenya from England as a child and then abandoned by her mother, Beryl is raised by both her father and the native Kipsigis tribe, who share his estate. Her unconventional upbringing transforms Beryl into a bold young woman with a fierce love of all things wild and an inherent understanding of nature's delicate balance. But even the wild child must grow up, and when everything Beryl knows and trusts dissolves, she is catapulted into a string of disastrous relationships. Pro: It made me want to read "West With the Night"
The narration of this book was one of the best I've heard. Beautifully written story. Pirriwee Public's annual school Trivia Night has ended in a shocking riot. One parent is dead. The school principal is horrified. As police investigate what appears to have been a tragic accident, signs begin to indicate that this devastating death might have been cold-blooded murder. In this thought-provoking novel, number-one New York Times best-selling author Liane Moriarty deftly explores the reality of parenting and playground politics, ex-husbands and ex-wives, and fractured families. Would I recommend this book? No. Three fourths of this book passed by before it became interesting. I found it very, very boring to listen to all (I listened to the audio while driving to and from work) the trials and tribulations of a bunch of gossipy mothers who had nothing better to do. If I knew people like this, I would avoid them at all costs. It was like one long soap opera, but without any mounting suspense. The narrator did an excellent job, but her Australian accent was distracting. What could Liane Moriarty have done to make this a more enjoyable book for you? I realized by the end of the book that a lot of the backstory was important to the conclusion, but getting there was boring. I don't care about all that nit picky stuff. What about Caroline Lee’s performance did you like? 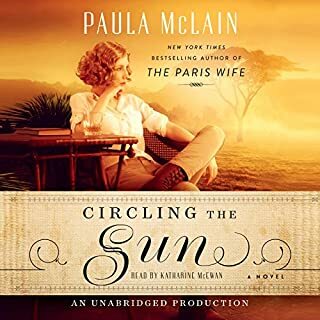 She is an excellent narrator, but the Australian accent sounded British to me for most of the book and made the narration sound overly dramatic. 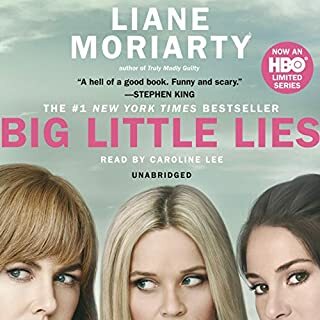 Could you see Big Little Lies being made into a movie or a TV series? Who should the stars be?